[Context and motivation] In the early phases of requirements engineering, often graphical models are used to communicate requirements. In particular, business process models in graphical languages such as BPMN can help to explain the process that a software system should support. These models can then be used to derive more detailed requirements. [Question/Problem] Often, such models are incomplete (showing only the most important cases) or contain labels in natural language that are prone to ambiguities and missing information. The requirements engineer has to identify missing / ambiguous information manually. The aim of this paper is to discuss certain classes of such potential problems and how they can be found automatically. [Principal ideas/results] First, we analyzed a collection of business process models and found that they frequently contain typical types of problems. Second, we described those potential problems in a formal way. We present a catalogue of indicators for potential problems and suggest questions to be asked by a requirements engineer for getting additional information about the depicted process. We also developed a tool prototype that uses a combination of linguistic analysis and inspection of the control flow. This tool prototype was applied to 2098 business process models. 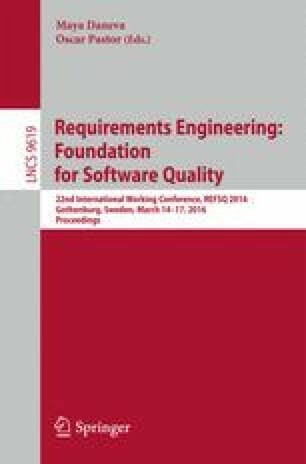 [Contribution] The paper presents a catalogue of potential problems in business process models. It also shows how these problems can be identified automatically. We thank the German Research Foundation (DFG) for funding the AUTEM project in which this research has been done (grant no. 599444).